battles, the strategic maneuvering by each side, the politics, and the personalities. Particularly notable are McPherson's new views on such matters as the slavery expansion issue in the 1850s, the origins of the Republican Party, the causes of secession, internal dissent and anti-war opposition in the North and the South, and the reasons for the Union's victory. The book's title refers to the sentiments that informed both the Northern and Southern views of the conflict. The South seceded in the name of that freedom of self-determination and self-government for which their fathers had fought in 1776, while the North stood fast in defense of the Union founded by those fathers as the bulwark of American liberty. Eventually, the North had to grapple with the underlying cause of the war, slavery, and adopt a policy of emancipation as a second war aim. This "new birth of freedom," as Lincoln called it, constitutes the proudest legacy of America's bloodiest conflict. This authoritative volume makes sense of that vast and confusing "second American Revolution" we call the Civil War, a war that transformed a nation and expanded our heritage of liberty. 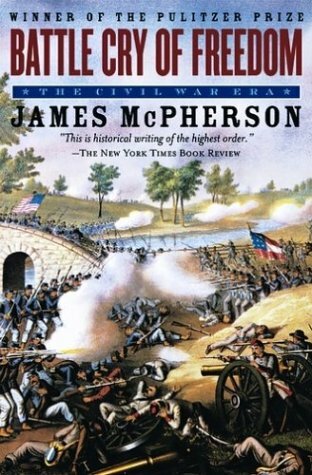 James M. McPherson is the author of Battle Cry of Freedom: The Civil War Era, which won a Pulitzer Prize in history, and For Cause and Comrades: Why Men Fought in the Civil War, a Lincoln Prize winner. He is the George Henry Davis Professor of American History at Princeton University in New Jersey, where he also lives. His newest book, entitled Abraham Lincoln, celebrates the 200th anniversary of Lincoln's birth with a short, but detailed look at this president's life.